Originally from Canada, Stephanie Craig is currently Assistant Professor of Art at Cuyahoga Community College in Cleveland, OH. In addition to teaching, she maintains a steady studio practice and a busy exhibition schedule. Stephanie shares her studio and her life with artist-husband Todd Leech. Curatorial work is also an important part of Stephanie’s professional pursuits, with several local projects and, recently, two concurrent exhibitions at NCECA 2018 in Pittsburgh, PA.
Stephanie’s summer months are dedicated to yard work, cottage life in Northern Ontario and Artist Residencies. Past residencies include Glen Arbor Art Center, MI (2018), Medalta International Artists-in-Residence Program, Alberta, Canada (2014, 2008, 2005), Watershed Center for the Ceramic Arts, Newcastle, ME (2013), Guldagergaard Ceramic Research Center, Skaelskor, Denmark (2011). 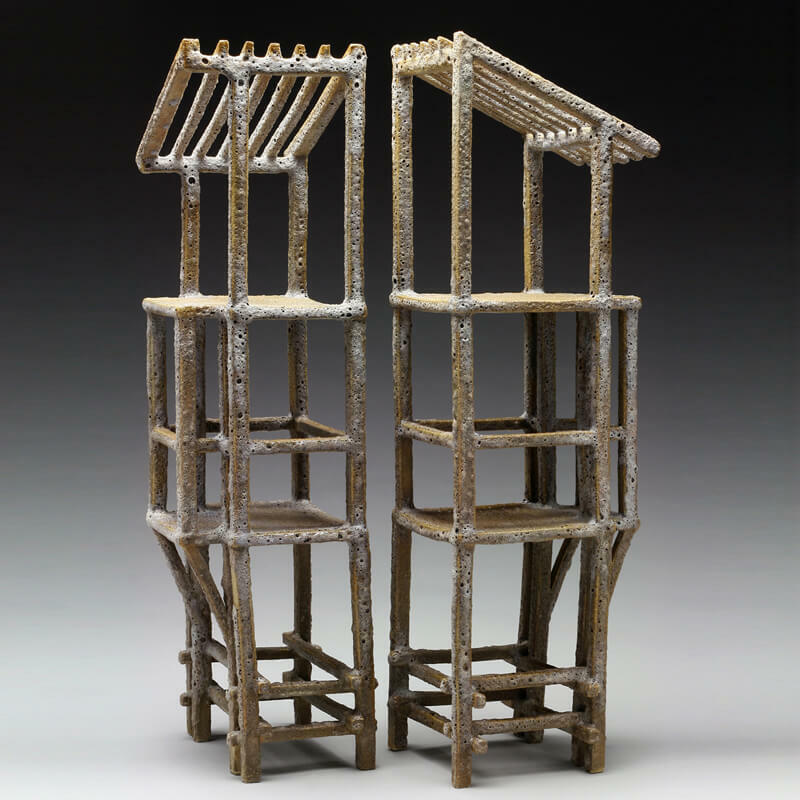 Stephanie received her MFA in Ceramics from Edinboro University of Pennsylvania in 2004. The overarching theme in my artwork has always been about the elusive nature of memories. I am investigating my fragmented memories and the lost histories of persons and places. Most recently, I am constructing barren structures, dwellings of sort. Presently, the tall house/tower form has my attention: it is at once an elevated refuge and an ominous fortification. I am interested in the tension between safety and threat in these abandoned spaces.